Coping with a plateau begins with an understanding of how learning occurs, followed by recognizing and dealing with the symptoms of frustration experienced when skill development takes a vacation. 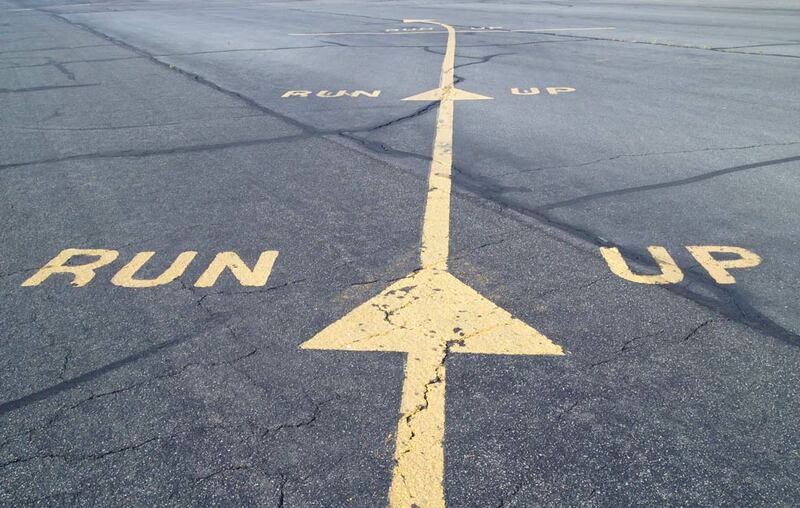 With flight training, anticipate the learning plateau. Aviation is full of plateaus so you better get used to them. The wheels hit the runway hard, followed by three tiny puffs of smoke that telegraphed the impact. My student had just converted a set of Goodyear tires into a new brand properly named Maypops or Couldblows. This was his tenth lesson and he wasn’t improving as rapidly as he had on previous lessons. As a right seat witness to his once-unstoppable ebb of progress, I searched for something positive to cheer him up. Then I searched some more. Good man that he was, he beat me at my own game by offering a small prayer to Saint Impactus, the patron saint of student landings. We had a good laugh. Then I mentioned that this wasn’t really supposed to be a wing-and-a-prayer event. His difficulty, like that of most students at a comparable stage of their flight training, was simply grappling with the serpentine twist of the learning curve. He was on something known as a learning plateau. What is the Learning Plateau? When learning complex skills, most people don’t proceed directly from A to B at a nice, steady, consistent pace. They learn by fits and starts, leaps and bounds. Sometimes, the learning rate pauses to catch its breath, producing an overwhelming sense that nothing is happening. Welcome to a learning plateau, a distressing waypoint on the learning curve. The learning curve is a performance chart for the human brain. It represents how students typically progress when learning complex behaviors. At the introduction of any complex skill, learning often proceeds rapidly. As each educational component is added to a previous building block, learning becomes more and more complex. In many cases, depending on the complexity of the skill being learned, progress temporarily tapers off before resuming an upward climb. It’s the tapered area that’s known as the learning plateau. Perhaps it reflects the brain’s occasional need to consolidate and integrate, or maybe it’s just the stitching together of the neurons needed to coordinate mental and physical learning into a cohesive behavioral symphony. Whatever it is, it definitely isn’t fun, especially if you don’t know what’s happening and don’t have a strategy for coping. Coping with a plateau begins with an understanding of how learning occurs, followed by recognizing and dealing with the symptoms of frustration experienced when skill development takes a vacation. Simple learning tasks often occur without plateaus. Phobias are stellar examples of these learning events. In some instances, the development of a phobia can result from a one-trial learning experience. Some folks, bitten a single time by a spider, need no further reinforcement to be frightened by anything with more than two legs. The learning curve in this instance is vertical, shooting straight up the chart. Through Coordination and G-Force Sensitivity, You Too Can Earn Your Black Belt in Stall Prevention! 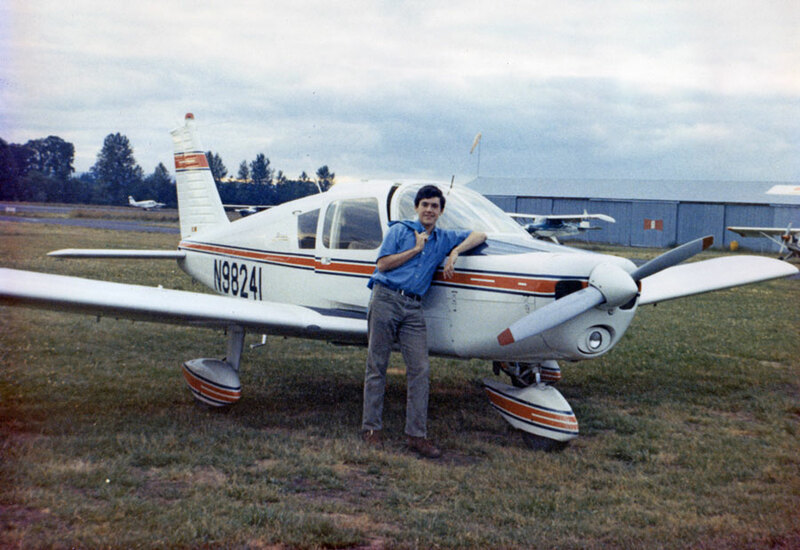 Learning to fly an airplane, however, is anything but a simple learning task. It’s a highly complex activity, requiring the assembly of a coherent whole from numerous building blocks. Each building block of knowledge must be processed, correlated and connected with previously learned skills for the necessary insights to occur. Collecting, connecting and conveying is what our subconscious mind does best, but it does so at a cost. The assembling of complex ideas and the formation of insights are paid for in the currency of time. I’m speaking of the time it takes for the deeper parts of our mind to make the connections and links necessary to learn these complex skills. Warning me to anticipate the plateau’s existence was a potent weapon for dealing with disappointment. Still, after many years of sitting in the right seat of a Cessna 150 Bounce-O-Matic, I’ve learned that the plateau is sly and cunning. It doesn’t overtly announce its arrival. Like the Ninja, it often sneaks up on its victim to deliver punishing bouts of frustration. In these situations, I’ve witnessed students experience as many as three different stages in attempting to manage their frustration. Sometimes they experience all three stages; at other times they experience only one stage. As Wells Fargo discovered many years ago, sometimes a stage shows up, sometimes it doesn’t. The first step in surviving a learning plateau is to recognize any one or more of these three stages as symptoms of the plateau, then doing something to move past it. One of the most common stages of frustration with the learning plateau is called the “I’m getting angry” stage. In this stage, you seldom become angry at your instructor. Your anger is often directed toward yourself. It’s often subvocal, and may start with negative statements like, “What’s the matter with me?” or “Don’t I have the brain power to learn to fly?” It may even lead to nonverbal behaviors like biting of the lip, an intentionally tense grip on the controls (perhaps this is how the control grips got those bumps in the first place) or other forms of muscle tension. For instance, if a student starts a lesson with a neck and, later on in that lesson, that neck is no longer visible to the instructor, then his shoulder muscles are way too tense. No neck is no good. It can also be a sign of frustration. If you are stuck on a learning plateau, you might find that your frustration and anger stem from a perceived inability to please your instructor. An inability to please yourself isn’t the main source of your anger here. In a peculiar quirk of human psychology, some students believe that making even a single mistake irreparably damages an instructor’s perception of their performance. Thinking this way is about as logical as putting a brick in the airplane’s gas tank in an attempt to conserve fuel. Learning is not an all or none game. CFIs know this. You need to know it, too. Besides, isn’t the instructor being paid to identify and correct mistakes? If you were perfect, then your CFI might feel guilty about taking your money (OK, at least theoretically). A critique about a mistake doesn’t mean your instructor no longer has respect for you. Mistakes, after all, are what the CFI sees most. We like mistakes, especially when we don’t see the same ones over and over again (even if additional money is involved—well, theoretically, that is). Surviving the plateau means taking responsibility and attempting to neutralize your frustration and the resulting anger. If you are unsure of how an instructor perceives your performance, then ask for an evaluation. Asking, “How’s my progress?” or “Was that a reasonable performance for a student of my experience?” is an effective way to better understand what your instructor is thinking. It’s unlikely that he will respond by saying something uninspiring like, “Well Bob, progress is really an overrated concept. We’d actually be better off without it. And since you’re unlikely to ever show any, let’s just learn to enjoy each other’s company. What-da-ya-say, pal?” If you hear something like this, then your instructor has either gone bad or you weren’t meant to fly an airplane. Either find another instructor or consider giving Wally Thor’s School of Trucking a call. On the other hand, I know you can fly. The tea leaves told me so. Another stage is called the “I give up” stage. After a particularly frustrating hour of instrument approaches, I’ve seen students taxi off the runway, take their hands completely off the controls and go limp, held up only by their shoulder harness. They look like little strings of overcooked pasta tossed onto an airplane seat. Personally, I prefer my students al dente, because going limp is an extreme form of resignation. It means all the starch has gone out of them. More commonly, instead of a pasta impression, a student might want to end the lesson early, in an attempt to minimize his anger and frustration. One of the very best things you can do when experiencing this type of frustration is consider taking some time off (at the end of the lesson, of course). The very worst action is to abandon the controls in anger and mimic Italian food. 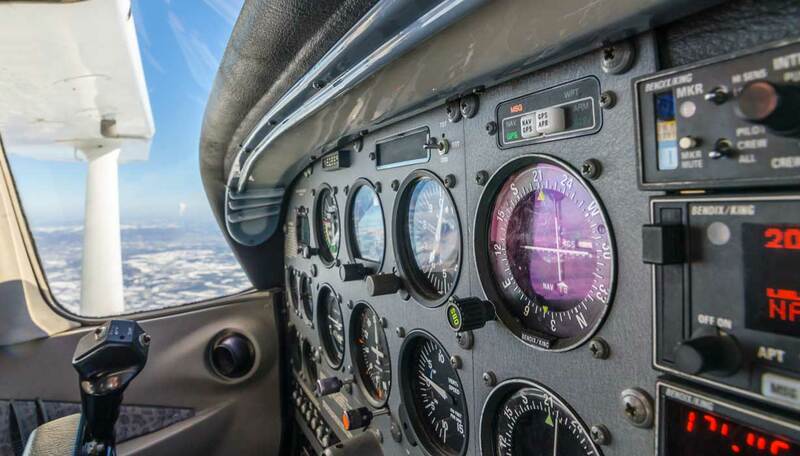 During my early years as a flight instructor, when I was still learning about how to deal with my students’ learning plateaus, I had one fellow who refused to fly anymore. Pasta Man gave up in anger and forced me to fly home (as if he really had to force me to fly). Giving up sets a very bad personal precedent. It leaves a lingering suspicion of emotional frailty (and an impression that you might even cry at Gladiator movies). After all, if you give up when you are overcome with frustration, what might you do under actual emergency conditions? So don’t give up! Think anti-pasta. Fly the aircraft back home and take a short flight training hiatus. Over the years, when I’ve recommended a short hiatus, I advised the student not to even think about airplanes. Often, a student would return to the cockpit as if he had been personally counseled by Neil Armstrong himself (explaining the remark often heard after the first good landing: Tower, this eagle has landed). A short break of a few days often allows the subconscious mind to do some amazing things for personal performance. Few students actually believe they won’t eventually get it. Their hope is to provoke the parental part of their multi-part brain in hopes of conjuring up some form of positive affirmation from the deeper, wiser parts existing within all of us. On the other hand, sometimes you need to say these words over and over again just to realize how absurd they are. Surviving the plateau means recognizing that disappointment generally requires some degree of psychological mending. 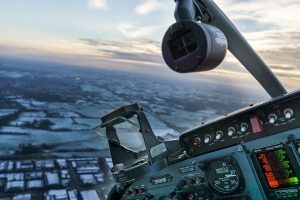 After a short time away from flight training, a mentally healthy person’s self-repair circuits will kick in, allowing him or her to move beyond frustration. All or any one of these stages crudely map the highly variable and emotional behaviors of the many hundreds of students I’ve seen over the years. Some students experience all three stages, while others experience only one. I don’t recall coming across a student who didn’t experience at least one of these stages when stuck on a learning plateau. Of course, there are those rare, talented individuals who don’t experience any noticeable plateauing during their flight training. These people are either legends or aliens. I hope you’ll find some solace in knowing that, as a student pilot, I certainly wasn’t one of those people (or aliens). Nor were many competent airline captains and other professional pilots I have known over the years. Surviving the plateau requires that you recognize these stages as normal responses to frustrating situations. As an adult (or almost an adult), you’ve probably become quite competent at those skills you’ve developed in your lifetime. You’re very good at them and you most certainly take pride in your performance. Learning to fly, however, requires the development of an entirely new set of skills. These are often complex skills that command every ounce of your brainpower to develop. So make sure you understand your brain’s performance chart—the learning curve. It’s a picture of how your brain will most likely work when learning to fly. Knowing that will help you to survive the learning plateau. B. That’s why the call them “trainers”. C. Not everyone is “meant ” to fly…the plane doesn’t have 2left rudders.. Thanks for sharing that learning how to fly the aircraft includes the ability to make the theories learned into a skill. I guess that is true because you won’t ever to learn how to do it if you don’t practice it. I will share this with my best friend because I heard that he is planning to join a club next month to learn how to fly. From what I know, he was given an aircraft by his grandfather which he will be using for their farm.